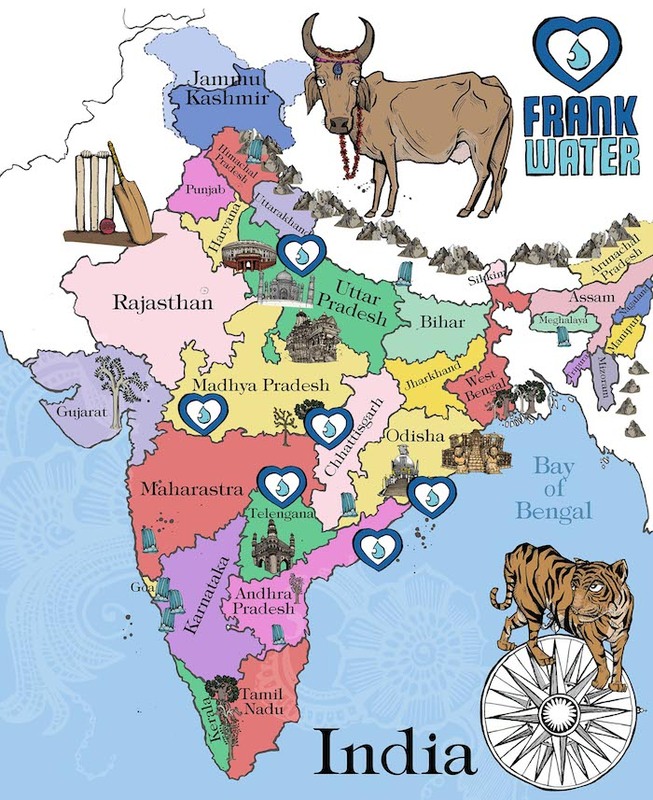 FRANK Water reaches communities across India. Find location, coordinates and information about each village. We aim to support the most vulnerable communities in India and Nepal. We work with people whose health is affected by lack of access to safe water and sanitation as well as hard to reach, marginalised or isolated communities in both urban and rural areas. Click on the FRANK Water hearts below to find out more about our India programme or scroll down to find out where we work in Nepal.